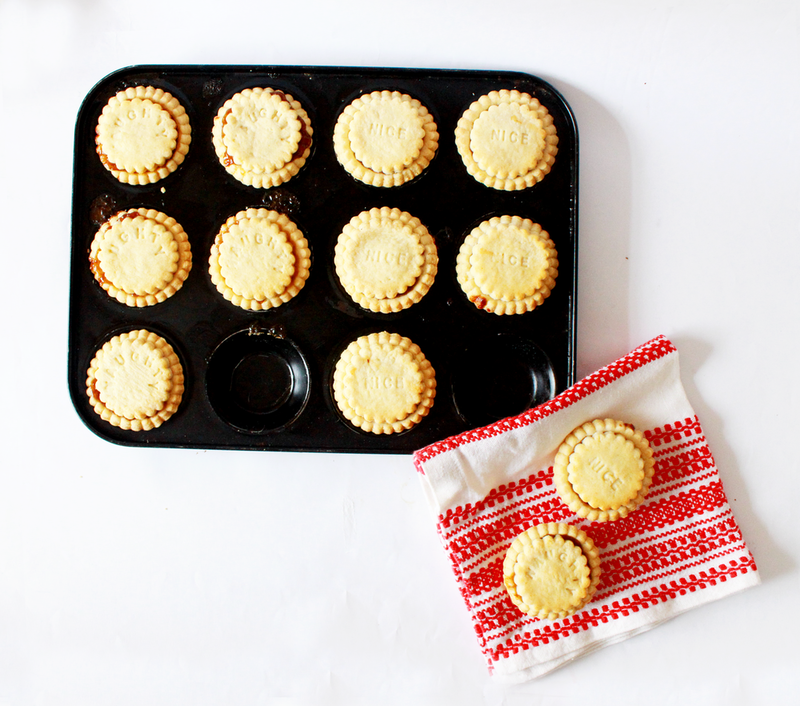 Naughty or Nice Mince Pie Recipe! Have you been naughty or nice this year? 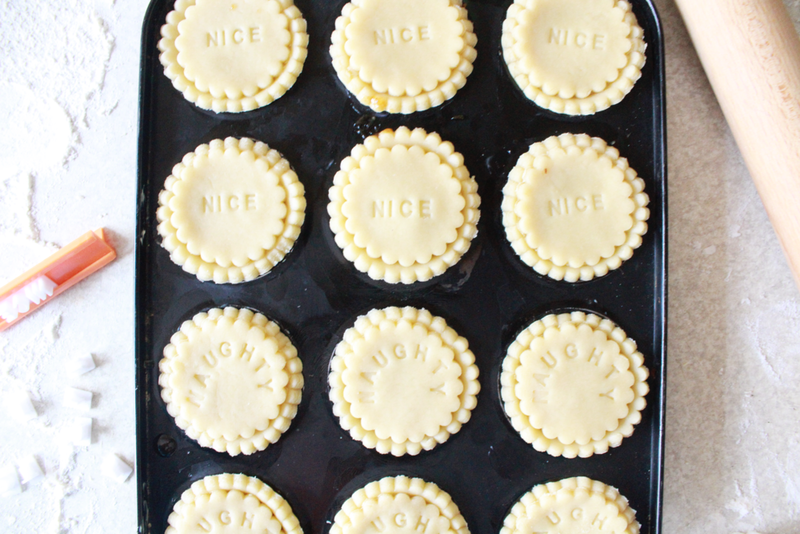 Well, you may wish you'd been a little bit more naughty when you have a taste of these mince pies! The nice pies are beautifully traditional and everyone will enjoy them while the naughty pies have a devilish secret, they are laced with brandy! Well, it is Christmas after all! Preheat the oven to 180c. To make the pastry add the flour, icing sugar, salt and baking powder in a large bowl and mix. Then add the butter and mix using your finger tips to make a breadcrumb like texture. Add a drop of water if the mix is too dry until you can knead your pastry into a smooth ball. Your ready to roll out and cut out your pies using a cookie cutter. Line the baking tray with butter so the pies don't stick when baking. 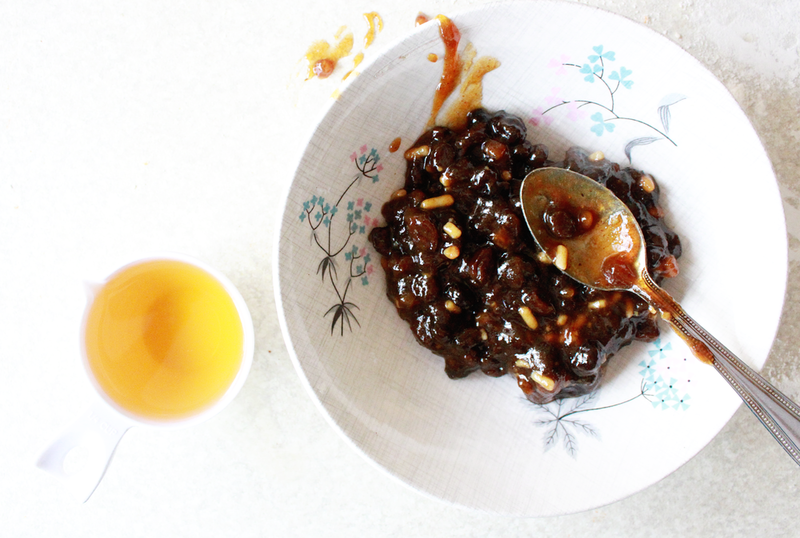 To make the "naughty" mince pie filling just use half the mincemeat from your jar and add 1/4 cup of brandy! Mix and let it stand for about 30 mins so the fruit soaks up all the booze! Leave out the booze for the "nice" pie filling. 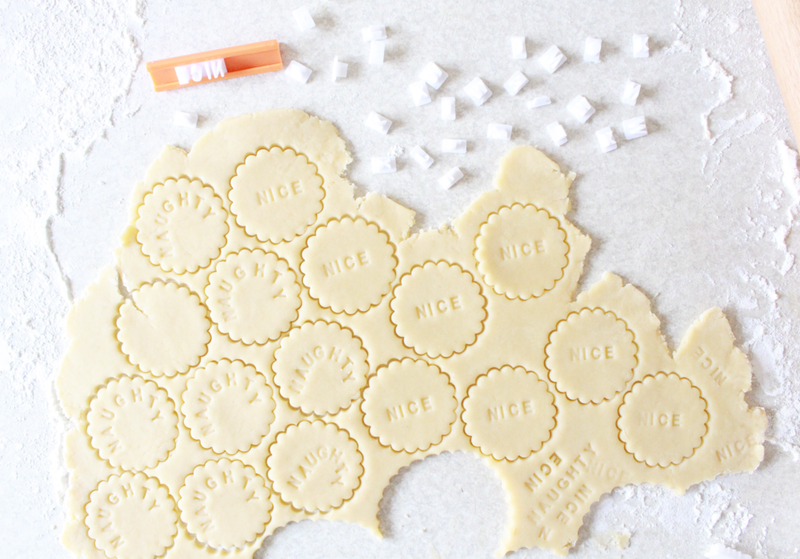 Cut out the pie lids using a cookie cutter and with the baking letter stamps stamp out "naughty" and "nice", easy! You may need to practice a bit like I did in the corner of the pastry to make sure you get it right! Fill your pies with the "naughty" and "nice" mincemeats and place on the lids according to the filling, try not to mix them up! Brush a little milk onto the top of the pies to help them brown. Bake the pies for about 13-15 mins or until golden brown and leave to cool before serving, if you can wait that is! Feel free to leave them under the tree for Santa, I can guarantee they will be gone by morning! If you still fancy baking check out my other Christmas themed bakes, Chocolate filled Snowflake Biscuits and my Mulled Wine Brownies!